The next release on Roush Label comes from the combined duo of Jovan Vucetic & Mene. Their collaborative '4Real' EP contains two fresh original cuts, loaded with underground flavour and ready for unsuspecting dancefloors across the globe. '4Real' opens the package with an underground, tribal feel. The skippy patter of thudding kick drums and complimenting toms build the main energy of the track; they are accompanied by swung rhythm and layered vocal sampling. Then comes the synth factors; crushed and processed glitch sounds dance with injections of acid throughout the track which gives it an added level of grit. 'Sweep The Floor' follows up nicely with a different take. A rolling number that again exhibits use of thick drums and toms, to build the main belly of the record. The track is filled with offbeat percussion and fx slaps and even carries an eerie, cinematic feel within its bridge sections. A track with a brute force low-end, built for the big room environment! 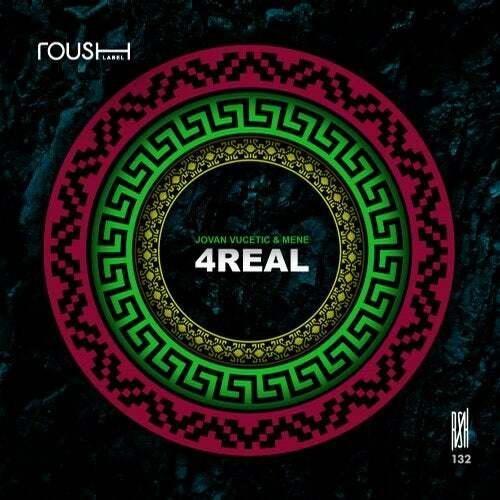 Jovan Vucetic & Mene's '4Real' EP is proudly presented by Roush Label.